As this video shows, there are aspects of near-death experiences which can’t be answered by science alone. Yes, ahead you’ll find all the bright white lights, tunnels and dead relatives you’d expect to find, but some things are a bit more disturbing. As you’ll see, there are incidents of people learning things during their near-death experience which they couldn’t have possibly known about beforehand. In addition to some incredible personal accounts, the resulting questions which remain unanswered make these cases even more enthralling. How do you explain people visiting worlds and locations not yet discovered? How can a child recall visiting with dead friends or relatives who the child never met or knew existed? How can prophetic experiences which eventually come true be fully explained? Yes, ahead you’ll find some truly amazing near-death experiences which stand out from the ‘usual’ occurrences. 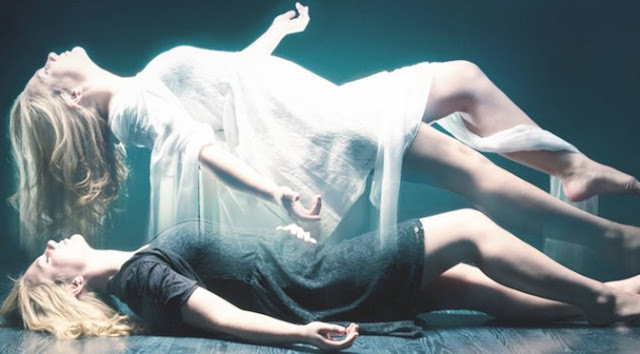 While we may not know for sure what happens after we die, there are many examples of people who believe they have come close to the afterlife. Badly hurt in accidents or suffering from incurable disease, some people have recalled temporarily leaving this world and experiencing a taste of what awaits on the other side. In every case, the person regains consciousness and gives their tale of what they experienced while they were ‘dead.’ In most cases, there are strong similarities between stories and the now clichéd events and objects make their appearance. From bright lights and tunnels to recently deceased relatives and pearly gates, almost all near death experiences share common characteristics. To a large extent, science and the medical community have attributed these experiences to normal biological function and not some divine experience. Bright lights and tunnels, a common feature in near-death experiences are attributed to the synapses of the brain rapidly firing in a desperate effort to stay alive as oxygen levels drop. The increased brain activity is said trigger memories lodged deep in the brain, often including memories of long dead relatives and friends. The feeling of relaxing and calm is attributed to the release of various chemicals as the brain fights to stay alive. I suppose this is part of the beauty of life – the unknown. Only time will tell if humans can unravel the mysteries of the afterlife. I am of the belief that as science becomes more advanced and humanity becomes more spiritually aware that the two will combine to unearth the mysteries of non-physical phenomena.